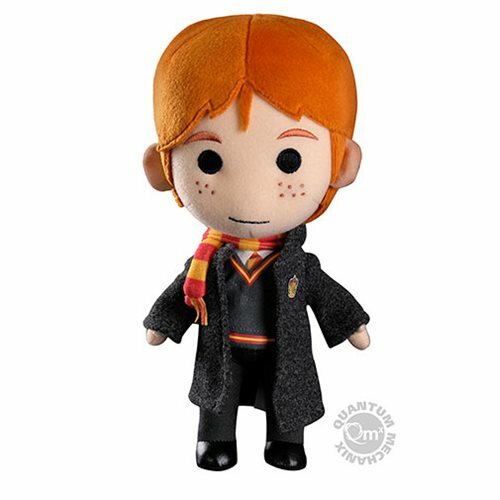 Ron Weasley is one of Harry Potter's very best friends - terrific at wizard chess, not half bad at Quidditch goalkeeping, and despite all of his whining, remarkably brave and able to come through in the clutch. 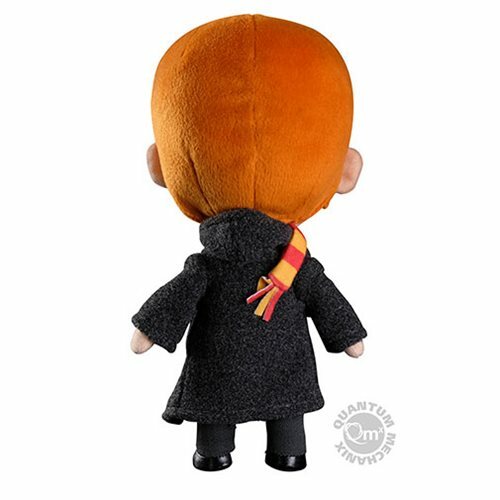 Now this ginger wizard can be yours as a lovable polyester Harry Potter Ron Weasley Q-Pal Plush! He's 8-inches tall, wearing the Gryffindor House sweater, scarf, and necktie. Ron's robe, a hand-me-down from one of his twin brothers George or Fred, has faded from black to gray. 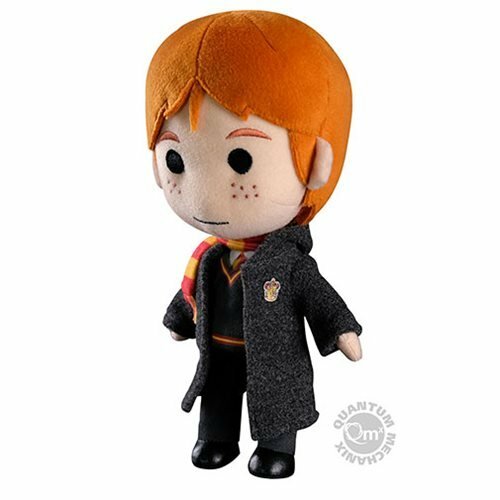 And remember, Ron loves sweets, so hide your favorite chocolate frogs! Surface-washable. Air dry. Be sure to collect the whole trio! Harry Potter Q-Pal and Hermione Granger Q-Pal sold separately.